Middle Eastern studies. Teaches and studies Ottoman and modern Middle Eastern history and the history of the Jewish people in Muslim countries. His current research interests deal with the relations between military modernization and political and social change in the Ottoman Empire. Levy, Avigdor. "Janissaires, Suppression (1826)." Dictionnaire de l'Empire Ottoman. Paris: Editions Fayard,. 2015. Levy, Avigdor. "Mahmud II (1808-1839)." Dictionnaire de l'Empire Ottoman. Paris: Editions Fayard. 2015. Levy, Avigdor. "Ottoman Attitudes to the Modernization of Jewish Education: Nineteenth and Twentieth Centuries." The Divergence of Judaism and Islam: Interdependence, Modernity, and Political Turmoil. Ed. Michael Laskier and Yaacov Lev. Gainesville, Florida: University Press of Florida, 2011. 17-28. Levy, Avigdor, Norman Stillman et al., eds.. The Encyclopedia of Jews in the Islamic World. Leiden: Brill, 5 vols., 2010. Levy, Avigdor. ""Haham Bashi (Chief Rabbi) (2,700 words)." Encyclopedia of Jews in the Islamic World. 5 vols. 2010. Levy, Avigdor. ""Millet (Community; The Ottoman Millet System)" (4,200 words)." Encyclopedia of Jews in the Islamic World. 2010. Levy, Avigdor. ""Ottoman Empire, 1835-1923" (7,000 words)." Encyclopedia of Jews in the Islamic World. Leiden: Brill, 5 vols.. 2010. Levy, Avigdor. ""Women (Ottoman Empire)"." Encyclopedia of Jews in the Islamic World. 5 vols. 2010. Levy, Avigdor. "Review of Minna Rozen, A History of the Jewish Community in Istanbul: The Formative Years, 1453-1566 (Leiden: Brill, 2002)." International Journal of Middle East Studies vol. 36 (2004) 294-95. Levy, Avigdor. "An Ottoman City under Siege: Daily Life in Edirne During the Balkan Wars, 1912-1913." Proceedings of the Ninth International Congress on the Economic and Social History of Turkey. Ed. Halil Inalcik et al. Ankara: Türk Tarih Kurumu, 2005. 315-30. Levy, Avigdor, ed.. Jews, Turks, and Ottomans: A Shared History. Syracuse University Press, 2002. Levy, Avigdor. ""Professional Jewish Women in Turkey in the Early Twentieth Century"." (2002): <Jewish Women in Turkey: Living in Multiple Worlds. Hadassah International Research Institute, 2002. http://www.brandeis.edu/hirjw/conf/levy.pdf>. Levy, Avigdor. "The Jewish Community of Edirne (Adrianople) During the Balkan Wars, 1912-1913 (Hebrew)." Hamizrah Hehadash 39. 1 (1998): 16-45. Levy, Avigdor. "The Chief Rabbinate in the Ottoman Empire, 1835-1860." Hommage a Haim Vidal Sephiha. Ed. Winfried Busse and Marie-Christine Varol-Bornes. Berne: Peter Lang, 1996. 483-496. Levy, Avigdor. "Togarmah: Jewish Life in the Ottoman Empire." Le'Ela 39 (1995): 25-29. Levy, Avigdor, ed.. The Jews of the Ottoman Empire. Princeton NJ: Darwin Press, 1994. Levy, Avigdor. "The Establishment and Development of the Institution of Haham Bashi in the Ottoman Empire (1835-1865) (Hebrew)." Pe'amim 55 (1993): 38-56. Levy, Avigdor. The Sephardim in the Ottoman Empire. Princeton NJ: Darwin Press, 1992. Levy, Avigdor. "The Gulf Crisis in Historical Perspective." Suffolk Transnational Law Journal 14. (1991): 23-40. Levy, Avigdor. "Ottoman War Preparations, 1809-1811." The Turkish Studies Association Bulletin 12. 1 (1988): 20-22. Levy, Avigdor. "Power Politics at the Center, 1808-1812: The Resurgence of the Ottoman Sultanate (Turkish)." Tarih ve Toplum 41 (1987): 52-56. Levy, Avigdor. "Contribution of Zaporozhian Cossacks to Ottoman Military Reforms -- Documents and Notes." Harvard Ukrainian Studies 6. (1982): 372-413. Levy, Avigdor. "Formalization of Cossack Service Under Ottoman Rule." East Central European Society and War. Ed. Gunther E. Rothenberg et al.. New York: Columbia University Press, 1982. 491-505. Levy, Avigdor. "Military Reform and the Problem of Centralization in the Ottoman Empire in the Eighteenth Century." Middle Eastern Studies 18. (1982): 227-249. Levy, Avigdor. "Islam: Religion as Politics." The Brandeis Quarterly March 1981: 4-5. Levy, Avigdor. "Ottoman Attitudes to the Rise of Balkan Nationalism." War and Society in East Central Europe. vol. 1 Ed. Bela K. Kiraly and Gunther E. Rothenberg. New York: Columbia University Press, 1979. 325-345. Levy, Avigdor. 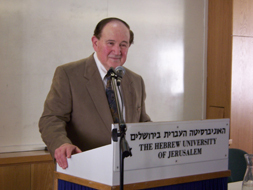 "Trends in the Middle Eastern Balance of Power (Hebrew)." Sekirah Hodshit January 1975: 3-15. Levy, Avigdor. The Arab-Israeli Conflict: Risks and Opportunities. Tel Aviv: Stratis, 1975. Levy, Avigdor and Sam Saxe. "Arab-Israeli Conflict Four: A Preliminary Assessment." Naval War College Review (1974): 7-16 (Also in Japanese in Sekai Shuho, March 1974, pp. 44-50). Levy, Avigdor. "The Eshkinji Project -- An Ottoman Attempt at Gradual Reform, 1826." Abr-Naharain 14. (1974): 32-39. Levy, Avigdor. "The Middle East and the International System, 1967-1973 (Hebrew)." Occasional Papers Series, Shiloah Research Center, Tel Aviv. July 1974. Levy, Avigdor, Daniel Dishon et al., ed. Middle East Record 1968. Jerusalem: Israel Universities Press, 1973. Levy, Avigdor. "The Communists and the Ba'th Power Struggle in Syria, 1966-1970." The USSR and the Middle East. Ed. M. Confino and S. Shamir. Jerusalem: Israel Universities Press, 1973. 395-418. Levy, Avigdor and Itamar Rabinovich. "Soviet Policy, the Syrian Communists, and Intra-Ba'thi Politics (1963-1971)." Occasional Papers Series, Shiloah Research Center, Tel Aviv. December 1971. Levy, Avigdor. "The Officer Corps in Sultan Mahmud II's New Ottoman Army, 1826-1839." International Journal of Middle east Studies 2. 1 (1971): 21-39. Levy, Avigdor. "The Ottoman Ulema and the Military Reforms of Sultan Mahmud II." Asian and African Studies 7. (1971): 13-39. Levy, Avigdor, ed. A Bibliography of Articles on the Middle East, 1959-1967. Tel Aviv: Mifal Hashichpul, 1970. Levy, Avigdor. "The Morgenthau Peace Mission of World War I (Hebrew with English Summary)." Hamizrah Hehadash 16. 1 (1966): 58-63.